What is your time and energy that you have spent growing your business worth? The tangible assets and liabilities of the business are only part of the value. Since every business is different, we tailor each valuation engagement to the particular business interest being valued. We consider the unique aspects of your business that create goodwill, such as the geographic location, industry, personnel and market forces to name a few. Our accredited business valuation professionals use current generally accepted approaches to determine the overall value of your business. Our business valuators have met the rigid professional training and testing requirements to earn the designations of Accredited in Business Valuation (ABV) – American Institute of Certified Public Accountants (AICPA) and/or Certified Valuation Analyst (CVA) – National Association of Certified Valuation Analysts (NACVA).  The Lutz valuation team has over 60 years of business valuation experience, which makes us one of the most knowledgeable and respected valuation teams in the region. Over the years, our valuators have been exposed to a wide variety of industries and circumstances. One size doesn’t fit all. Our analyses and conclusions are offered in a detailed full report, summary report or calculation report depending on your specific needs. The difference between reports is predicated on the audience and purpose of the valuation.